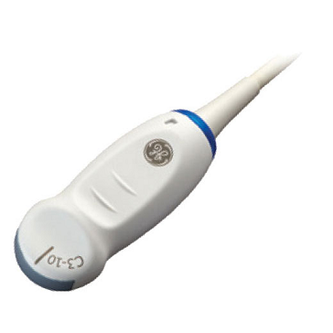 The refurbished GE C3-10-D microconvex probe is compatible with the GE Logiq e9 ultrasound machine and has an operating frequency range of 3 to 10 MHz. This convex probe is used for neonatal, pediatrics and vascular imaging applications. To reach our sales team for pricing on our used GE C3-10-D ultrasound probe or our other refurbished ultrasound transducers for sale, you can call us 877-661-8224 at or use the contact form below. We’d love to hear from you! I want a free price quote on the GE C3-10-D, send it today!